In the 1890's a world wide bicycle craze occurred as the safety bicycle and mass production allowed almost anyone, man or woman, to ride a bicycle. Montreal followed this wave of popularity and the Montreal Bicycle Club tracked such club statistics as how many rides per year, club mileage etc. They show the dramatic rise in the popularity of cycling. Unlike the earlier High Wheel era women with bicycles begin to appear in Montreal photographs. At the end of the 1880's the MAAA acquired and built the grounds presently occupied by Westmount High School. For the benefit of cycle racing a one third mile banked cinder track was built with a grandstand that ran the entire north length of the field and backed onto Ste Catherine Street.The first races in 1890 were primarily on High Wheel Bicycles but from 1891 onwards Safety races dominated. Members of the Montreal Bicycle Club took key positions in the national body, the CWA. They continued sending members to each national meet, which were held in various cities across Canada, as well as many LAW events in the USA. In 1894 they organized a Sarnia to Montreal Relay Ride to promote the potential of cycling. In this ride a letter was carried by approximately 200 relay riders from Sarnia to Montreal in just over 33 hours. The letter was signed by Mayors of cities along the way. Also in 1894, the CWA Canadian Meet, which was held in Montreal at the MAAA grounds. featured a booklet entitled "Our City, Our Sports" which gives a history of Montreal and its sports. Cycling tours from Montreal to across the border to the US, Quebec City and various other destinations were popular for Montreal Bicycle Club members. They also held social events such as Euchre tournaments and "Smokers" where free pipes and tobacco were distributed. Louis Rubenstein, a figure skating world champion,MBC member, and president of CWA, worked to bring the World Championship of Cycling to the city. 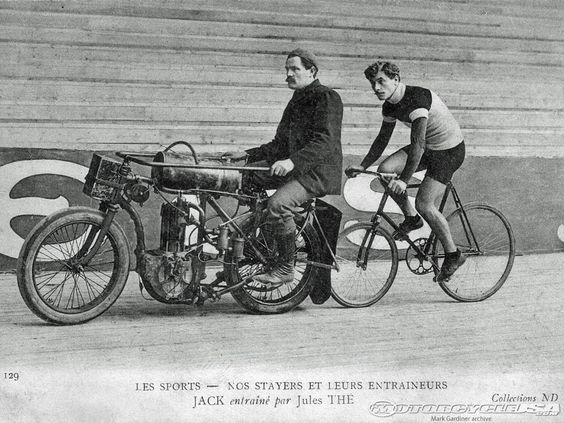 In 1899 this was held at the Queens Park Velodrome in Verdun which had an outdoor wood track. Because of the dispute between the LAW and the NCA it was unclear who would compete for the United States. A few days before the event it was decided by Henry Sturmey, chief if the ICA, at the Windsor hotel in Montreal that NCA riders would not be allowed. ​ Major Taylor of the USA won the one mile professional event, confirming his status as the world's best cycling sprinter of his time and thus becoming the second ﻿black man ever to win a world championship﻿ in any sport. Drury and Boisvert were Montreal racers of note at the event. It was the first time ﻿motorized pacers﻿ were first used at a cycling world championship, which caused considerable interest. Also in 1899 Karl Creelman came to Montreal after starting his around the world bicycle trip from Truro Nova Scotia, the first Canadian to do so. Since he left with almost no money, he contacted the Montreal Star and sold them reports of his journey along the way.